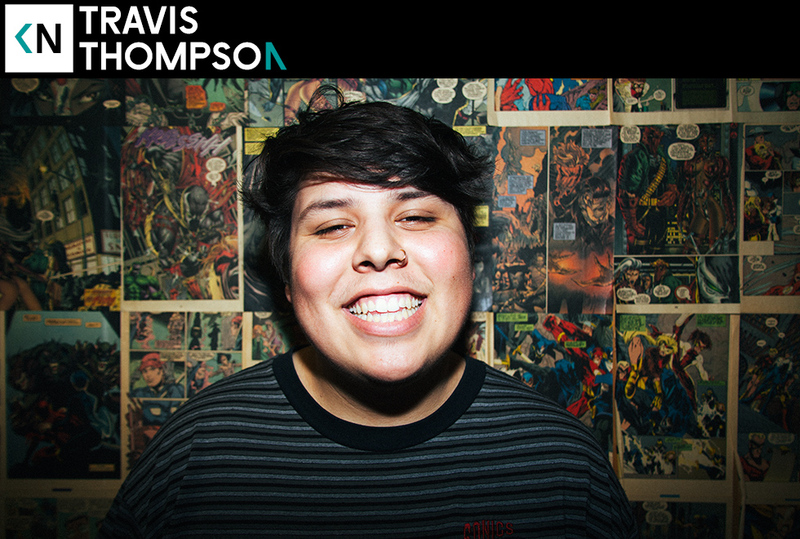 Travis Thompson has been on my radar subliminally for many years now. Upon first hearing his music I was sure his name seemed familiar, but didn’t research it. Then I saw Macklemore announce his recent Key Arena shows only to realize Travis follows me on Twitter. When the tracklist for Gemini was released, where he’s featured with KN alum Dave B., I put it all together. Travis was a kid that had been reaching out on socials for years. Did some searching and realized he used to ask for music and podcasting advice way back. We’d tweeted back and forth multiple times. Travis was born in Alaska and raised in Seattle. As we’ve all figured out by now, Seattle really supports their own. That said, he’s quickly gaining a following back home and with a big support slot on a national tour, the reach will surely be growing. His burgeoning love of rap started at skate parks in the area where they were bumping…Intuition songs!?!? It’s always a pleasure, and a bit surreal, to meet someone that claims you as an influence. It’s even more satisfying to see that influence translate into accomplishing focused goals. After a successful stint as a young spoken word artist, he began his own podcast (see that influence agan?) where he interviewed rappers in an attempt to break into the Seattle scene. He even ended up interviewing buds like Watsky. Now, at 21, things seem to be taking off quickly for Travis. But behind every quick success is years of hard work and opportunities that were taken advantage of. Listen in as we talk about knowing what he wanted to do at an early age and pursuing it with fervor.